Bloomerang® forms a bushy plant with small leaves. 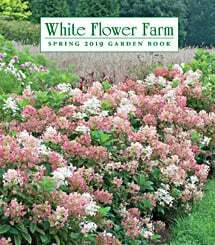 Its bloodline includes four different Lilac species (it's a hybrid of Syringa patula x macrophylla x meyeri x juliana). Plants bloom heavily in the spring, take a resting period, and then start up again in mid-summer and continue until cold weather. The second period of bloom is not as full as that in the spring, but still showy. Plants are best pruned right after the spring bloom, as this creates a fuller shrub with more branches and thus more flowers. Every stem can produce flowers in summer. Bloomerang® is mildew resistant, too.